WASHINGTON (CNN) - UPDATE: This list, first published January 3, was updated with the news that former sheriff Joe Arpaio is entering Arizona's Senate race and state treasurer Josh Mandel is dropping out of Ohio's. Republicans rid themselves of Roy Moore after his loss in Alabama's special election. Now, though, another widely known and controversial candidate is running under the party's banner: Joe Arpaio. It's a complication in a state that would already have been difficult for Republicans to hold. Right now, Democrats -- or independents who caucus with them -- are defending 25 seats this year, while Republicans are defending just eight. The GOP has a 51-49 advantage at the moment. The good news for Republicans: Rep. Martha McSally is set to enter the GOP primary this week. The bad news: Arpaio is in, too. Headed into a three-way primary that also features conservative state senator Kelli Ward -- who drew 40% of the vote against Sen. John McCain in 2016 -- the most optimistic Republicans hope that Arpaio and Ward will split the anti-establishment vote, opening the door for McSally's nomination. But we've seen that movie before. In Alabama, two outsiders, Roy Moore and Rep. Mo Brooks, took on establishment preference Sen. Luther Strange in a Senate special election. Moore -- the Arpaio in this comparison -- won the nomination and then lost the seat. Arpaio, 85, almost certainly won't be a senator. He lost his job as sheriff of Maricopa County (where 60% of Arizona residents live) in 2016 by 13 percentage points even as Trump won the county by 3 points. And that's before his conviction and pardon. But Arpaio's mere presence on the ballot -- and the fact that the primary isn't until late August, which means he'll stay in the race for much of its duration -- will be a fundraising boon to local and national Democrats, and will be a powerful tool to turn out Latino voters. If McSally prevails, as a former fighter pilot and strong fundraiser running in a red-leaning state, she'd have a real chance. But Arizona is moving to the left -- the Sun Belt is turning blue as rapidly as Midwestern states like Ohio and Iowa are becoming red -- and Democrats landed their top target in Rep. Kyrsten Sinema. That makes Arizona a prime pickup opportunity. There's no easy way out of the box Heller is in. Danny Tarkanian, who's lost all five of his races in Nevada -- but won four of his five primaries -- is challenging Heller from the right, charging that he's insufficiently supportive of Trump. Rep. Jacky Rosen, meanwhile, lies ahead in the general election, ready to seize on a favorable environment for Democrats in a state that Hillary Clinton won in 2016, and where Heller barely won -- and did it with less than 50% of the vote -- in 2012. 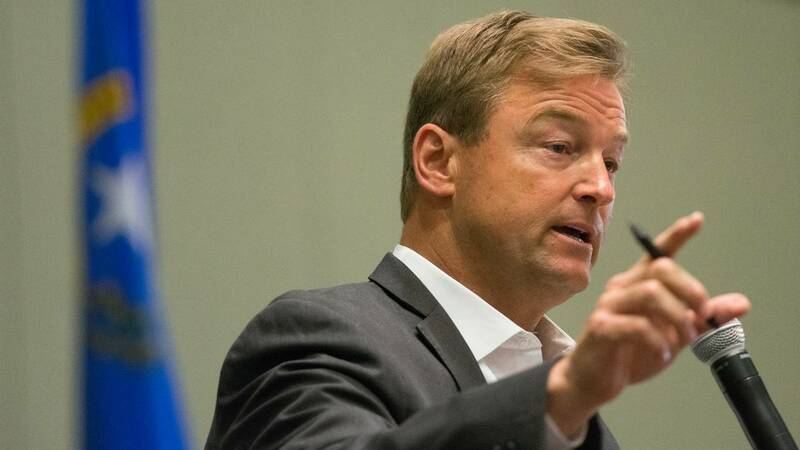 Heller's gymnastics on health care helped earn Nevada the top spot in our initial rankings. It only drops because of an even messier and more damaging Republican primary in Arizona. This is the state where the Steve Bannon vs. Mitch McConnell civil war is on hold and things are largely going according to plan for Republicans. McCaskill is one of five Democratic senators up for re-election in a state Trump won by double digits in 2016. Unlike the special election in Alabama and contests in several other states -- including Nevada and Arizona -- Bannon, Trump's former chief strategist, and McConnell, the Senate majority leader, are both backing Attorney General Josh Hawley here. McConnell pointed to Hawley at a news conference a month ago as the type of candidate he believes "can actually win." This race will be expensive and brutal. Expect Democrats to cast Hawley, who just won his job a year ago, as a ladder-climber. 1. Donnelly is an accidental senator of sorts, winning only after tea partier Richard Mourdock ousted Sen. Richard Lugar in the primary before collapsing in the general election in 2012. 2. Republican Todd Young shellacked Evan Bayh by 12 points here just a year ago -- and Trump won Indiana even more handily. Donnelly has kept a low profile and isn't particularly well-defined, but the "Mexico Joe" label that followed an Associated Press report that he profited from a family business's move to outsource jobs to Mexico still stings. Manchin's early flirtations with Trump -- which included conversations about a Cabinet post -- may help insulate him in a state the President carried with 69% of the vote in 2016. But Trump is showing signs he's willing to wield his popularity against the popular former governor, casting him as unserious about bipartisan cooperation. "He talks. But he doesn't do anything. He doesn't do," Trump told The New York Times recently. Trump met last week with Rep. Kevin Cramer, who it's safe to assume is now very likely to run against Heitkamp in this heavily Republican state. Getting him into the race would solve the GOP's biggest problem here -- figuring out who their candidate will be. Former state Sen. Tom Campbell is also running. In a neutral political environment, the math suggests this seat would be an easy pickup for the GOP: Trump won North Dakota by an eye-popping 36 points in 2016, and Heitkamp won her seat by less than 1 point in 2012. But this year's crop of Democratic incumbents features several candidates -- Heitkamp, Manchin and Montana's Jon Tester stand out -- with strong individual brands at home that have allowed them to defy their state's partisan makeup. And the nearly $4 million Heitkamp has in the bank goes a long way in North Dakota. Wake me up when Republican Gov. Rick Scott makes up his mind. If Scott's in, his proven ability to win close races in Florida and self-fund in an extraordinarily expensive state would send Florida up this list in a hurry. Not only that, he could force Democrats to spend heavily on their effort to retain Nelson's seat -- which could limit the party's ability to go after long shots like Tennessee. Scott lunched with Trump on New Year's Eve. But on Tuesday he punted when reporters in Jacksonville asked him about a Senate run, noting he has 390 days left in Tallahassee. Republicans missed on their top recruiting targets here. And now, state auditor Matt Rosendale and businessman Troy Downing are headed toward what could be an expensive and nasty primary. That's all good news for Tester, whose populist, down-to-earth brand -- bolstered by the fact that he still runs a farm -- allowed him to win in 2006 and 2012 despite Montana's history of voting for Republican presidential nominees (Trump won by 21 points here). Minnesota is ground zero in the 2018 midterms: The governor's office, as many as five House seats and not one but two Senate seats are up for grabs: Democratic Sen. Amy Klobuchar's and this one, vacated by Al Franken. Smith, Minnesota's lieutenant governor, was appointed by Gov. Mark Dayton to replace Franken. The Republican field is still taking shape. But an open seat in a state that's moving to the right over time looks, for now, like a slightly more appealing target for Republicans than neighboring Wisconsin, which just missed this list. This race dropped from seventh to No. 10 after Republican state treasurer Josh Mandel -- the likely GOP nominee -- unexpectedly dropped out of the race this week. Republicans are now scrambling to replace him. McConnell has spoken with J.D. Vance, the author of "Hillbilly Elegy," about running. Rep. Jim Renacci, who is currently running for governor, is another possibility. But until the GOP field is settled -- and with an early February filing deadline, that'll need to happen quickly -- this race drops. The reason it's still on the list at all: Trump won here by 9 points in 2016, and Republicans are desperate to lock Ohio into their column permanently. Plus, Brown is seen as a potential 2020 presidential candidate, which means the GOP sees the need to bruise him in this race no matter its outcome. In Wisconsin, Democratic Sen. Tammy Baldwin will wait and see who emerges from a packed Republican primary. One to watch: state Sen. Leah Vukmir, a talk radio darling in a state where conservative talk radio really matters. Democrats got their dream recruit in former Gov. Phil Bredesen in Tennessee, where they hope to pick off retiring Sen. Bob Corker's seat. But is Bredesen still the force he was 15 years ago, or is he this cycle's Evan Bayh? We'll wait and see before moving this race up the list. New Jersey Democratic Sen. Bob Mendendez's corruption trial ended in a mistrial, but the fact that he faced the charges at all makes his fate worth watching. Republicans would love to put Democratic Sen. Bob Casey's seat in Pennsylvania in play, and they have a Trump ally in Rep. Lou Barletta to try it. Democrats, meanwhile, hope Rep. Beto O'Rourke can catch fire in Texas against Sen. Ted Cruz if the national environment swings even more in the party's favor. The most interesting Senate race in 2018 might have nothing to do with whether Republicans or Democrats control the chamber after this year's midterm elections. The decision by Sen. Orrin Hatch of Utah to retire has teed up Mitt Romney -- the 2012 Republican presidential nominee turned leading intra-party critic of President Donald Trump -- to run for a job that would give him major influence over the remainder of Trump's presidency. But Hatch is a Republican. Romney is a Republican. And if Romney is stopped, it'll be because another Republican won the nomination in Utah. It'll be a fascinating state to watch -- but it won't tip the partisan balance of the Senate.